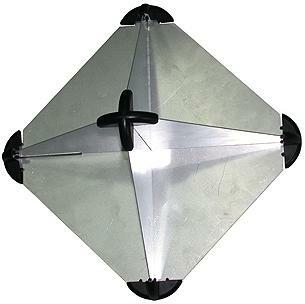 This traditional 18" aluminum radar reflector remains very popular among mariners. It has a reflective area of 7 square meters. The simple mechanism folds down flat for easy storage; easy to assemble and hoist up the mast or backstay when required. Looking for ideal Rader Reflectors Manufacturer & supplier ? We have a wide selection at great prices to help you get creative. All the Rader Reflectors are quality guaranteed. We are China Origin Factory of Rader Reflectors. If you have any question, please feel free to contact us.